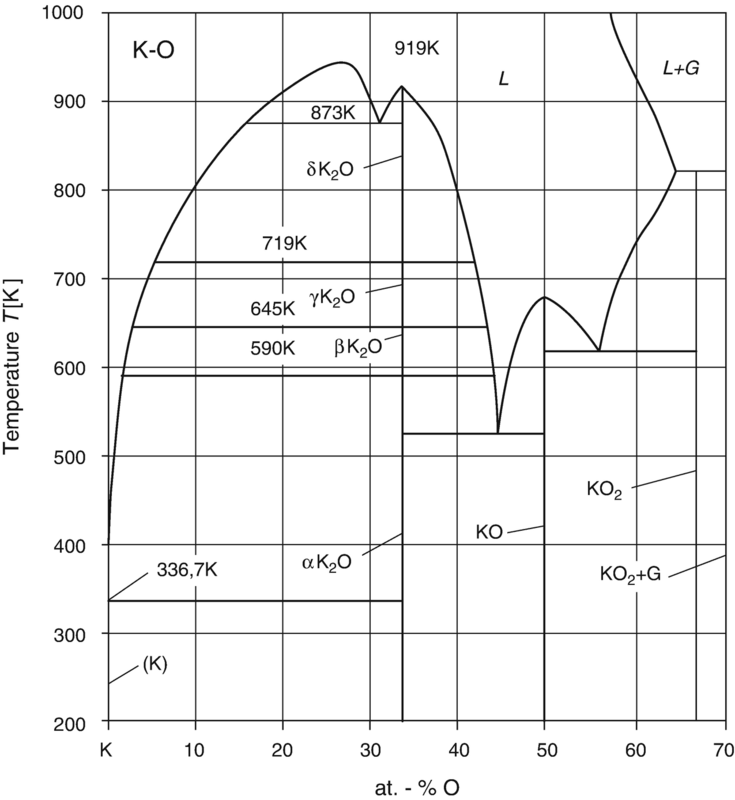 This chapter provides the phase diagram of K-O (potassium-oxygen) system. Using results of DTA by Natola et al. 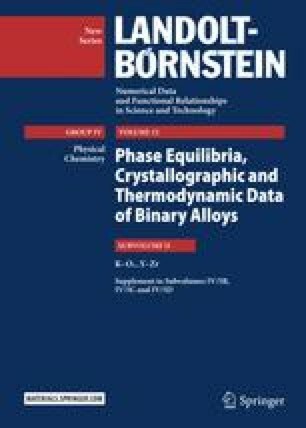 [70Nat] up to 33.3 atom-% O and taking results of calculations of experimentally determined data from Byker et al. [79Byk] (33.3 atom-% to 70 atom-% O) Okamoto [99Oka] has constructed a partial (up to 70 atom-% O) phase diagram which is shown in Fig. 1.